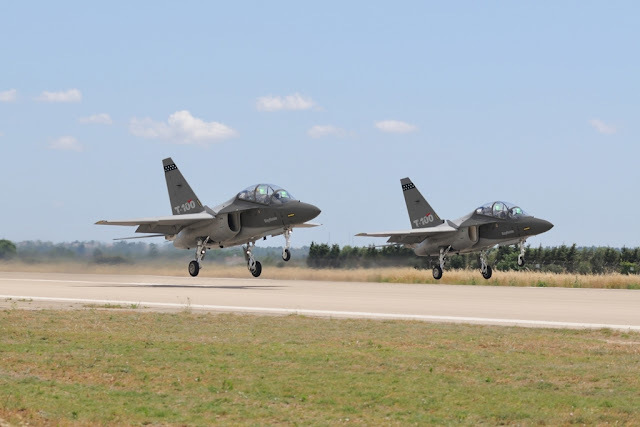 Following the recent rumors about a disagreement between Raytheon and Leonardo on USAF T-X program (more details here), today Raytheon annunced the intention to build the T-100 Integrated Air Training System, in Meridian, Mississippi. Should the Air Force approve the company's proposal for the Advanced Pilot Training program, Raytheon would establish a final assembly and check-out facility at a site it has chosen in Meridian. "Our process determined that the best location for building the T-100 is Meridian," said Rick Yuse, president of Raytheon Space and Airborne Systems. "It provides the right blend of infrastructure, proximity to our customers, government support and a talent base that’s ready for the high tech jobs critical to our success." Raytheon has manufactured products in Mississippi for more than three decades. The company builds active electronically scanned array radars at its facility in the city of Forest. The T-100 Integrated Air Training System is a comprehensive, next-generation training solution customized to meet and exceed the U.S. Air Force's mission requirements. Based on the Aermacchi M-346, it combines cutting–edge, ground-based simulators with computerized classroom training to prepare the next generation of pilots. Raytheon has partnered with Leonardo-Finmeccanica, CAE USA and Honeywell Aerospace to offer the T-100 to the U.S. Air Force.